After months of keeping information on the third Ninja Gaiden game on the down low, Team Ninja has finally seen fit to drop a few tantalizing details. Since the game was first announced at the Tokyo Game Show last year, very little concrete information has been released about Ninja Gaiden III. 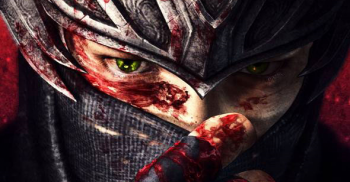 Team Ninja, the developer, released an image supposedly laden with hidden clues, and later a teaser trailer showing how not-fun-at-all it is to be on the receiving end of protagonist Ryu's sword, but no solid details. Well, all that has finally changed. In an article in the Official PlayStation Magazine, the devs finally dropped a few details on the game. Staying true to the series, Ninja Gaiden III will be filled with more spurts of blood and over-the-top gore than you can shake a katana at, and will retain the mentality that if a game doesn't cause high blood pressure and strokes with its difficulty, then it isn't hard enough. The game will be presented at 60 frames per second, which will hopefully be enough capture the true beauty and elegance of blood-soaked alleyways filled with corpses. But the new Team Ninja has no plans for keeping the series static. The game will focus more on Ryu's personality and the story of the game than previous entries in the franchise have, which will be aided by keeping Ryu as the only planned playable character and dropping the weapon store in favor of a more natural weapon progression throughout the game. It will also feature co-op and competitive multiplayer modes, which will support up to 8 players, and might even attempt to utilize PlayStation Move. More details on the game are scheduled to be announced at E3 this June. Let's all just hope that this game doesn't end up like that other game Team Ninja made semi-recently.